Astrolojew at Afikomen in Berkeley! Join me Sunday, August 31st at Afikomen Judaica in Berkeley as we explore the Cycle of Sacred Time through the Jewish Year and the Hebrew Zodiac Calendar! 11am - 12N - and it's FREE! Chodesh Elul Tov!!! 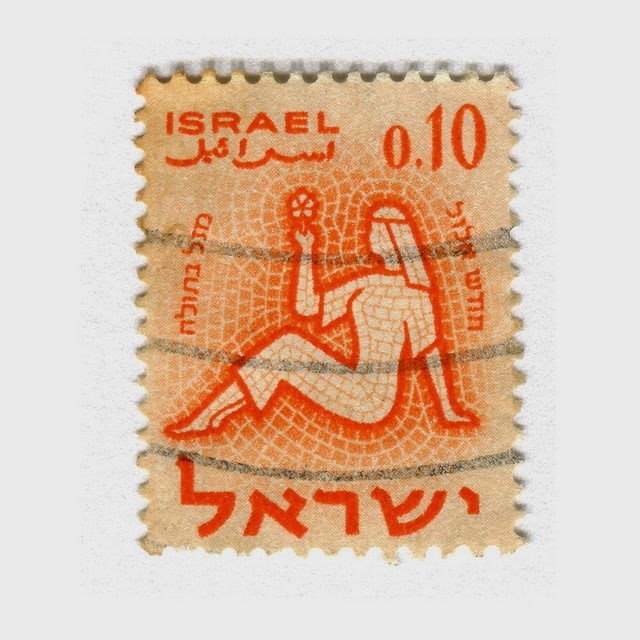 Virgo/Elul is so important it even got it's own Israeli stamp - gevaldt! The Hebrew Month of Elul is associated with the Tribe of Gad. Gad was the 7th Son of Jacob, the first-born of his mother Zilpah (Leah's handmaiden). "Gad" is, according to Rashi, a shorthand for "Mazal Tov" ("good fortune") deriving from a root meaning cut/divide, in the sense of divided out. 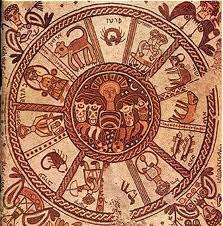 Virgo/Elul is the opposite of Adar/Pisces in the Cycle of Sacred Time as illustrated by the Jewish Year/Hebrew Calendar. In Adar/Pisces everything dissolves and we drink "ad lo yodeah", until we can't tell the difference between one thing and another. The Mazal (Zodiac Sign) of Elul is Virgo, whose function in the Zodiac is indeed to divide, portion out, separate, analyze, discern and decide whether or not something is simply wonderful fluff or something actual useful. Will it serve? Then it can stay. If not, it has to be put aside. 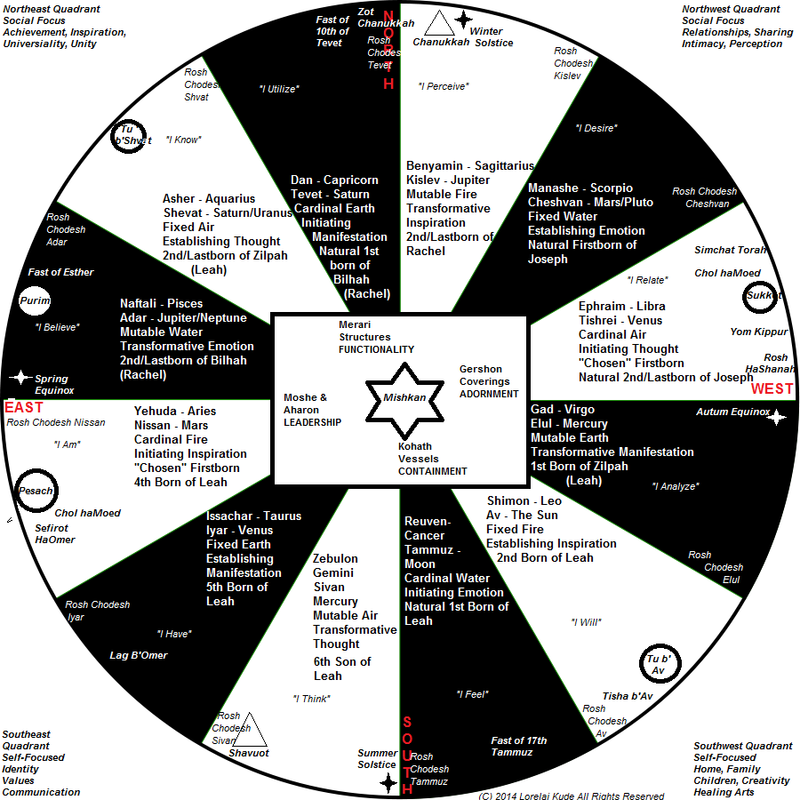 Virgo is the action of "borer" - separating, sorting - which we are forbidden to do on Shabbat. Elul is when we organize, analyze, and "sort out" our lives prior to Rosh HaShanah. 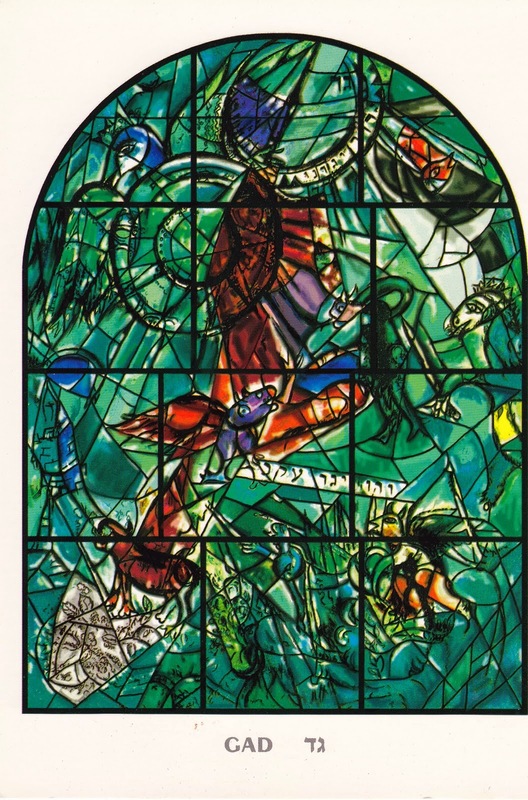 The Transformative (Mutable) Earth Sign, Virgo enables us to change our Tachlis, bottom-line reality by showing us in the cool, clear light of the Harvest Moon what things we've accumulated that will serve our growth and development, and what things we've carried forward that are impeding us, and need to be discarded. Cleaning out the closets of our lives, finding stuff that we're carrying around that no longer serves us, lightening our load, purifying our head-space and our heart-space is the work best suited to the Month of Elul. During Elul we say: "The King is in the Field". Perhaps no other Month is the "King" as obviously accessible to us, energetically - for if "the King is in the Field" and so are we, He is right there with us to help us with the challenging task of knowing what to hold on to and what we must let go of. Chodesh Elul Tov, happy sorting, cleaning and preparing for Rosh HaShanah, and don't try to do it all yourself - let "The King" help you out! 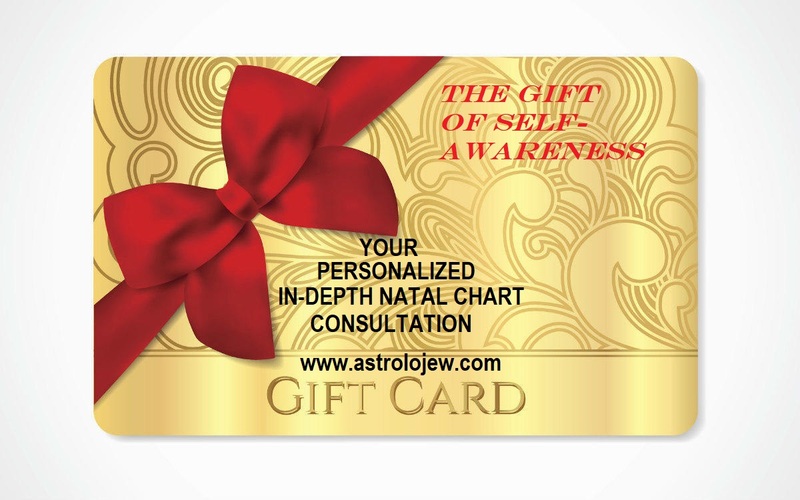 EVERYBODY had Virgo in their personalized natal charts... in fact, everybody has all 12 Zodiac Signs in their charts. Where Virgo is in your chart depends on your Ascendent (Rising Sign). To find out about how this plays out in your life and in what areas you need to let Virgo's "clean up crew" remodel your cosmic clutter, be in touch with me. The Sun (Ego) in Leo and the Moon (Emotions) in Aquarius Oppose each other today in a "Super" Full Moon. Pictured here is the Full Moon at it happens in Jerusalem, Israel. It's the Pratt vs. the Claal, the Individual vs. the Collective, the need for individuality vs. the need to belong to a group - playing out in the 6th/12th House dynamic of service/devotion and choice/destiny. Pisces Rising with Neptune and Chiron both in Pisces but in the 12th House is a recipe for the sensitivities, feelings, emotions, woundedness and potential for the deepest healing coming out from where it has been hidden in the subconscious/unconsciousness, triggered by Mars and Saturn both in 8th House Scorpio - shared resources, shared values. That which we share together we share as a human race - suffering, and the longing for redemption, a common dream of a better future, each culture has its own idea of what their particular utopia looks like. This Full Moon tests the strength of our common vision and values based on those things that we share in common - and the thing we have most in common is our shared humanity. On one level it appears as if human consciousness is evolving. From another perspective it looks as if it's devolving - but the truth is what seems like devolution is simply the failure to grow. The problem is, due to the accelerated rate of technology development which has far outpaced the spiritual growth cycle of the human race, we now for the first time posses the means which to destroy ourselves (something that was previously left to destructive occurrences such as global pandemics, continental floods, weather shifts, famine and other such natural "disasters"). Humankind now faces a future where the means of production AND the means of destruction are in the hands of people world-wide who, despite their different faith systems, share an apocalyptic end-game vision for humanity, where THEY and people LIKE THEM inherit the Earth after everything and everyone else is destroyed. If you're like me, you don't want your life, your liberty, your future and the future of your children and grand-children to be enslaved in the ongoing enabling of that shared apocalyptic vision. You may say I'm a dreamer - BUT I'M NOT THE ONLY ONE. The only alternative scenario to that apocalyptic "we win everything, you lose everything" vision is a new dream - which is really an old dream, perhaps the oldest dream - is to begin to view ourselves not as separate from each other, but as one global organism called the Human Race. The Human Race, a species of mammal that lives upon the Planet called Earth. The Human Race, so divinely endowed with intelligence, grace, beauty, creativity, warmth, the capacity for pleasure and joy, the ability to dream, the gift of imagination and the skills to execute that imagination - surely this species is worth saving - from itself! If the Human Race is going to survive itself we've got to adapt, and fast. We've got to wake up from this apocalyptic nightmare. We've got to dream a new dream. We've got to dream that dream together.